The term “Brand Identity” refers to how you want your consumers to perceive your brand when they interact with it. It is essentially your company’s aesthetic and if you want it to work your benefit, you need to have a clear plan and strong principles to follow. Your professional image is extremely vital to the success of your business as it is pretty much your customer’s first point of contact when they consider doing business with you. In the professional word, appeareances are everything and can seriously make or break whether your company can last. Your product or service can be the highest quality available but that won’t matter if your brand image turns people away at first glance. As humans advance our attention spans seem to diminish, this means that you only have a very miniscule amount of time to grab a prospective client’s attention and convert them into a paying customer. A strong brand identity shows your clients that you are confident in your business and your ability to keep them coming back and that you take your business seriously. Here is a perfect example : John makes absolutely delicious burgers at home that all his friends and family absolutely love (you will notice I use a lot of food analogies, this is no coincidence). He only uses the finest ingredients he can find to ensure his burger is the best tasting burger he can produce. 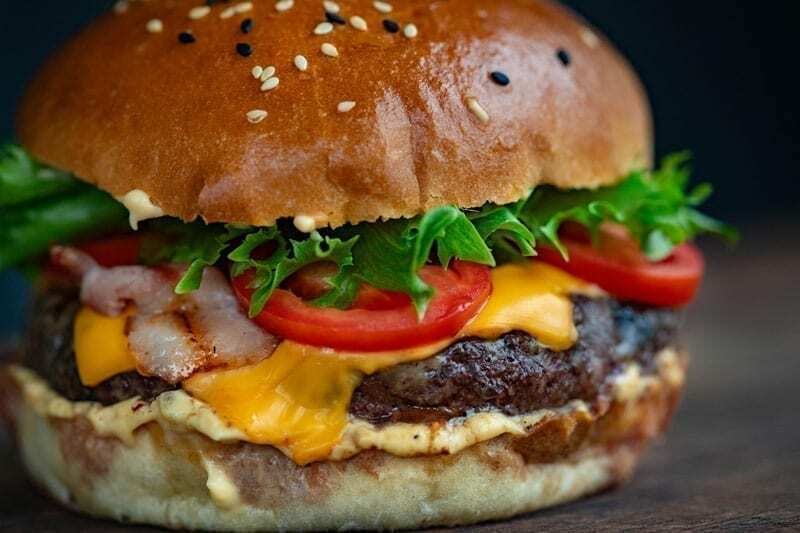 John and all his loved ones think his burgers are good enough for him to make a living off of so john decides to go ahead and open a burger restaurant despite the fierce competition from other restaurants and fast food joints. After filing all that registration paperwork, John has his teenage nephew design him a quick logo for his new business. He also begins ordering generic baskets and unbranded paper and foil for serving the food in. He rents a space that has all the equipment needs however he doesn’t put any funds or effort into any décor because his burgers are so good they are going to sell them selves right? Lets fast forward a year, John is barely scraping by, he has a few local regulars but hardly any foot traffic even on nights and weekends when a restaurant should be at its busiest. Down the street the famous Mcburgertown chain has opened up a new franchise that has been packed since it first opened a few months ago. Poor John is now stuck wondering why so many people would rather flock over to the cheap fast food burgers than taste his juicy delicious hand crafted burgers. Can anyone guess why John’s business is in such poor shape even though his burgers taste better than Mcburgertown? If you guess poor brand identity you guessed correct! If your business was a person then your brand identity would be your public image. If your hair isn’t just right, or your outfit is wrinkled and dirty then you will not have the right amount of confidence to present yourself publicly. A successful brand is one that is appealing, consistent, and unified. Your brand identity should serve as a strict guide for how all branded materials and merchandise should look. That means business cards, logos, websites, advertisements, etc. should all utilize the same color schemes, typography, themes and so on. When your image is unified and consistent across the board it shows consumers that you take your business seriously. Now I’m not saying had john sacrificed the quality of his product to divert all his funds into branding that he would be able to have prevented a chain restaurant from popping up. However, if he had just put a little more effort into his brand identity he would be able to distinguish himself and sit at the same table as Mcburgertown (so to speak) instead of just brushed off and never reaching his full potential. Never settle when it comes to your image, you will regret it in the long run.